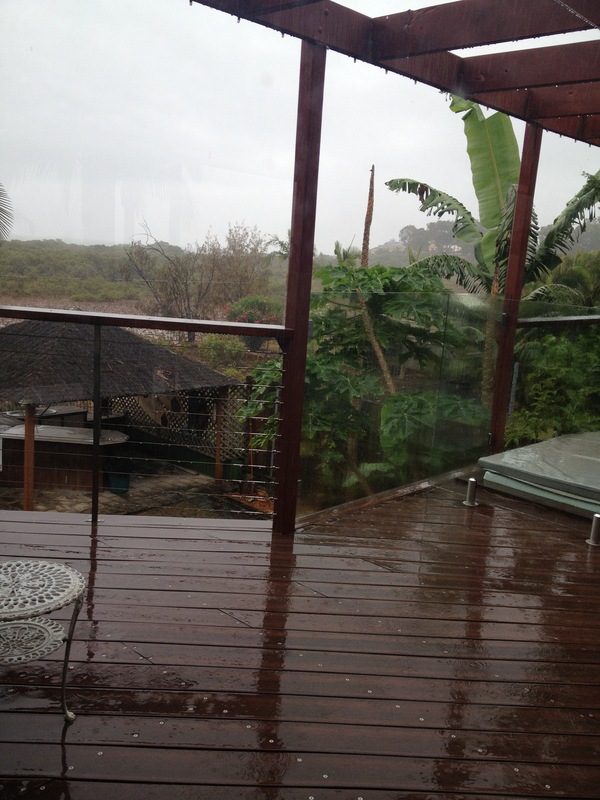 Well the weather forecast from yesterday certainly followed through. Click here to see what I had to say about the forecast. We have NO idea what to do with ourselves. Suggestions of indoor sports such as rock climbing or badminton have been shut down due to Ryan’s shredded finger. What does everyone else do on a rainy day? 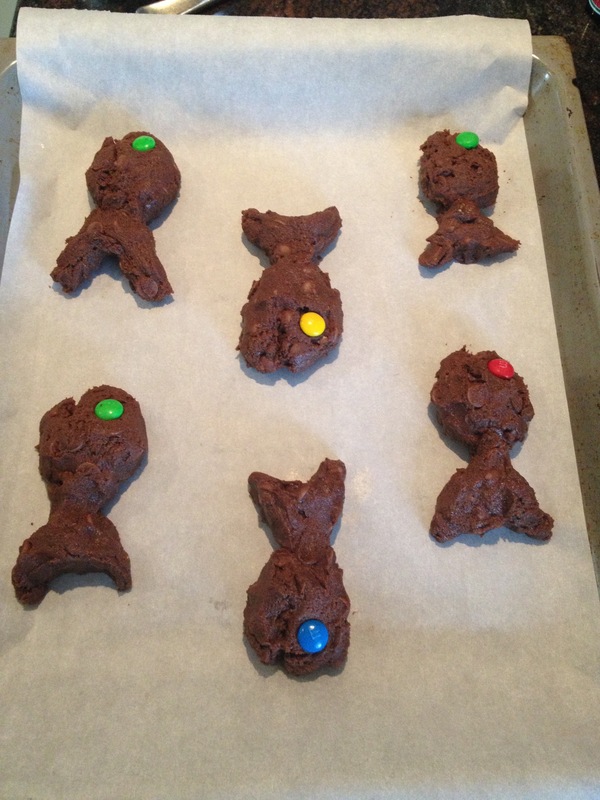 After lots of um-ing and ahh-ing about what we should do, and spending several minutes spinning around and around in the kitchen until we were dizzy, I decided to make some cookies. 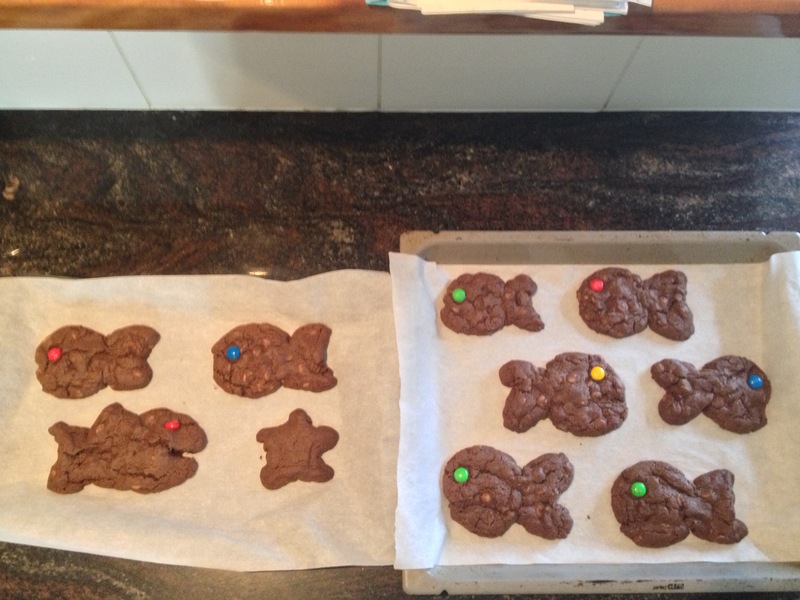 Not any kind of cookie… Triple choc fish shaped cookies!! Boy oh boy are we bored!! !